What Is a Friendship Ring? 3 Why Is International Friendship Day Celebrated? What would life be without friends? They are a major support system, and in many cases they're often just like family. Sometimes lavish gifts simply cannot adequately convey our gratitude for everything that our friends do for us. If you are looking for a special way to show your friends how much you appreciate being part of their life, consider the gift of a friendship ring. The first ring in history with symbolism can be linked to a friendship that originated in 17th century Ireland during the reign of Mary II. 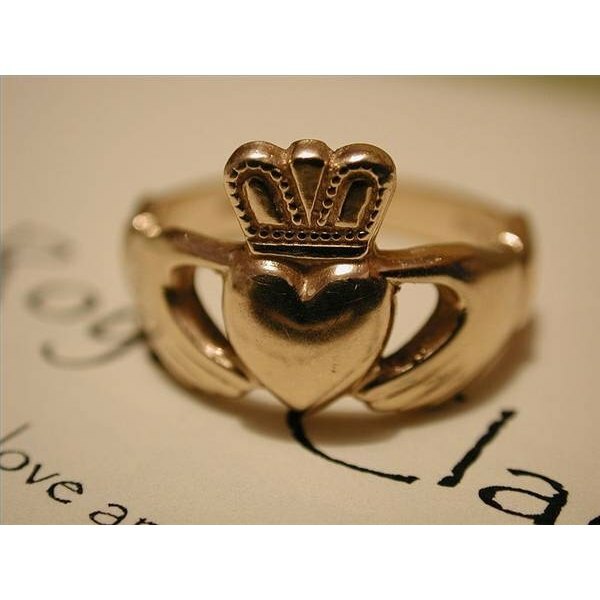 Called the Claddagh ring, it features two hands holding a heart that is topped by a small crown. The two hands represent friendship, while the heart and crown stood for love and loyalty, respectively. According to historical narratives, an Irishman named Richard Joyce crafted the first Claddagh ring while in exile and gave it to his lady upon returning to Ireland. Modern friendship rings often resemble wedding bands, sometimes featuring engraved text such as "Best Friends" or "Friends Forever". Other friendship rings are shaped like two interlocking hands, hearts or the Irish Claddagh symbol. Friendship rings are often sold in pairs, allowing both the recipient and the giver to have identical rings that fit together, like puzzle pieces, with the help of indentations and grooves. Some people choose to make their own friendship rings of materials such as beads. Friendship rings can be obtained from a wide variety of retailers. There are a number of online vendors that specialize in personalized friendship rings, providing bulk discounts that make this option ideal for customers who want to give rings to more than one friend. Other examples include specialized jewelry stores, which tend to carry a large selection of friendship bands and often offer engraving services at the same location. Friendship rings symbolize the bond between two people who are neither related to each other not are involved in a romantic relationship. Some people interpret friendship rings as meaning that two people are 'non-blood siblings'. Friends wear these rings to show their support, appreciation and commitment to each other. Celebration of International Friendship Day, which takes place year on the first Sunday of August, often involves the exchange of friendship bands. Friendship rings can serve other purposes in addition to symbolizing a bond between friends. These rings are sometimes thought to be engagement rings or wedding bands, particularly when worn by a male and female duo. As a result, the woman's friendship ring may serve as a sign that men should not pursue her. In other cases, a friendship ring is given to the recipient as an important reminder, for example to abstain from self-harm.